When quality and careful attention to detail cannot be compromised, Exact Landscapes is Ottawa’s perfect landscaping team of choice for creating luxurious outdoor living spaces. Gardening By Design is a team who believes in thoughtfully constructing outdoor spaces through connection, creativity, and collaboration. Connection. For over 30 years this female-run company has been exploring and redefining what it means to feel a connection to natural environments. Their goal is to design horticultural areas that allow you to experience nature in a new way. They want you to feel an attachment to your outdoor spaces, and to have a spot to unwind and recharge. Creativity. The possibilities for landscape design are immeasurable. GBD knows this. At the core of their design initiative, is to create spaces using a fresh and innovative approach. They value infusing areas with a new energy while also being environmentally conscious—striving to make areas look as though they’ve been there forever. Collaboration. GBD takes a collaborative and open approach to all projects—aligning with their studio vibe. They believe this is key to guaranteeing the most satisfying results. It ensures that all details are thought through from the beginning and that no questions go unanswered. They believe in endorsing a work environment that is honest, humble, and professional. Wild Ridge Landscapes Inc. provides a full suite of residential and commercial landscape services to our clients. 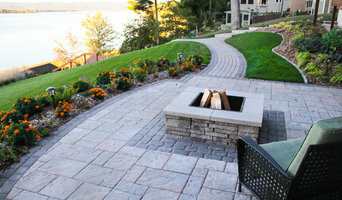 Partner with a company that proactively addresses all your landscape needs. 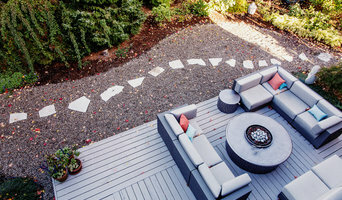 Green Roots Landscaping Inc. is a boutique outdoor design and build company. The company prides itself in its competitive edge and proven ability to create new visions and deliver exceptional results. Locally owned and operated and serving the Ottawa-Carleton region since 1988. For the past 29 years. We have been designing and installing varying aspects of Residential and Commercial Landscaping. With exact attention to detail and unmatched quality in installation and products and a hands on owner / install reputation We specialize in interlocking brick and natural stone ranging from patios, driveways to natural stone retaining walls. We also install water ponds features including waterfalls and river beds. Outdoor kitchens with full power and water, outdoor fireplaces (gas or wood), one of a kind outdoor lighting plans. DESIGN TO SATISFY - BUILT TO LAST - EXPERIENCE IN LARGE PROJECTS - Award winning projects! 2019 will be a sabbatical year at A Cultivated Art Inc. I will be accepting new projects up until the end of October 2018 and starting again in the spring of 2020. Please see my blog post for more information <a rel="nofollow" target="_blank" href="http://acultivatedart.com/blog.html">http://acultivatedart.com/blog.html</a> A Cultivated Art is all about bringing sustainability, functionality and beauty to our urban and suburban landscapes. A yard can be a living space, a play area, a quiet retreat, it can produce food, filter the rain water which pour off of our roofs and can support plants which cool the air and shade our homes in the summer. It can support pollinators and birds, help us all reconnect with nature and can create an oasis right outside your door. It can also be low maintenance, productive and beautiful. With years of experience and a passion for design A Cultivated Art can help you transform your yard from an underused space into a natural, sustainable oasis. 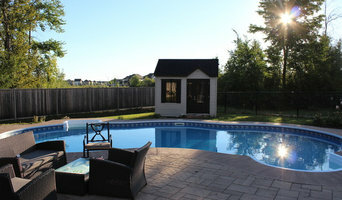 Thunderbolt Contracting has been creating beautiful, functional and memorable landscapes for the past 20 years. For projects of all sizes, we have the people, passion & experience to make it happen. Professional designers and installers of residential and commercial landscaping. When quality and careful attention to detail cannot be compromised, Exact Landscapes is Ottawa’s premier landscaping team for luxurious outdoor living spaces, landscape design, and curb appeal. We seamlessly blend your refined taste with your every day lifestyle. From the initial planning with our first-class landscape designers, 3D modelling to bring your alluring vision to life and, finally, the craftsmanship of our highly-skilled landscape professionals, every step of the way is a rewarding and exciting process. Riverview is a father son team out of Prescott Ontario, with Joe and Jamie McFarlane working together to provide a comprehensive, multidisciplinary design service offering landscape architecture, product/industrial design as well as custom feature and element design and manufacture. Riverview's reputation for excellence in landscape architecture and design has been strengthening since it's incorporation in 1987. Our goal is to integrate the design of spaces, products and elements to create aesthetically and functionally cohesive designed environments. We work closely, on all types of projects, with numerous other professionals such as architects, engineers, planners, environmental analysts, interior designer, general and landscape contractors, artisans and trades people. Welwyn Wong is the principle of Welwyn Wong Landscape Design; an award-winning Ottawa based company that specializes in unique custom residential landscapes. 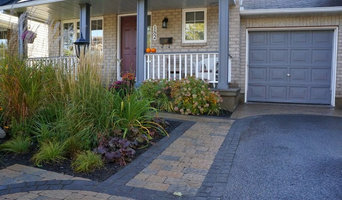 Welwyn is a certified landscape designer with a Bachelor of Landscape Architecture degree from the University of Guelph. She has worked in Toronto, Thunder Bay, Newfoundland, United States, Hong Kong, Grand Caymen, and Ottawa creating high-end residential designs. She has a passion for travel and pulls inspiration from the many places she’d visited.